1. Route 66 (1960-64) - One of the most iconic cars in American pop culture, the Corvette driven by Tod Stiles (Martin Milner) was the only possession his deceased father left him--other than a lot of bills. There were actually several models and colors of Corvettes used in the series (Chevrolet was a sponsor). 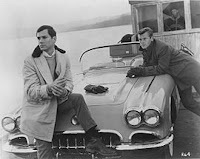 For all but one episode of the first season, Tod and Buz (George Maharis) cruised the country in a blue 1960 'Vette. Still, it looked gray since the series was filmed in black and white! 2. 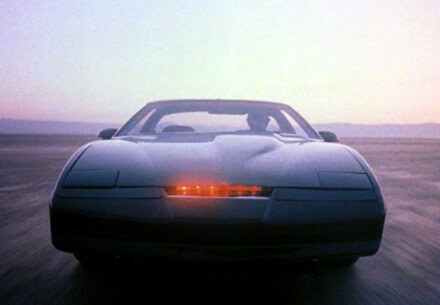 Knight Rider (1982-86) - The Knight Industries Two Thousand (KITT) was a black 1982 Pontiac Trans Am that cruised at 300 MPH, contained a fine array of weapons (e.g., a flamethrower), and featured an amazingly durable exterior. Its most distinctive feature was a talking computer with artificial intelligence and a a haughty personality to match. 3. Batman (1966-68) - Sure, the movie incarnations of the Batmobile may look sleeker, more realistic, and boast more gadgets--but the '66 version was considered pretty cool for its time. 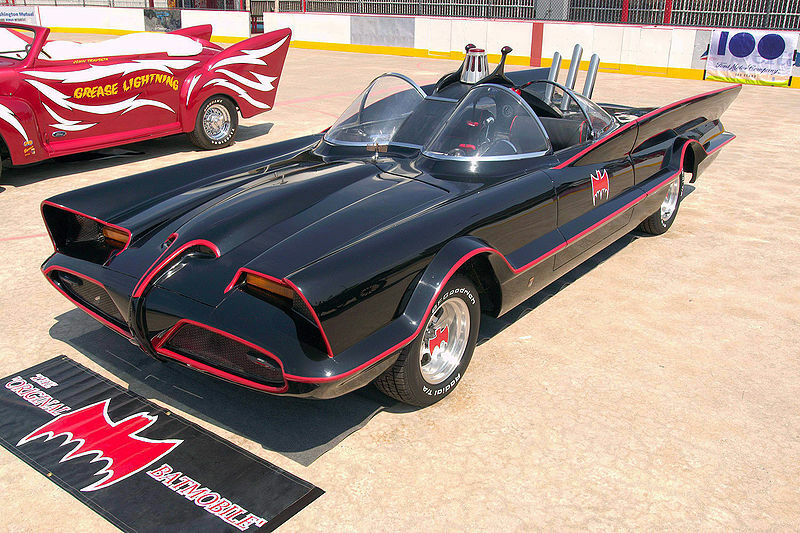 Customized from a 1955 Lincoln Futura (a concept car), the Batmobile was a staple at touring auto shows for years. Today, it is estimated to be worth $2 million. 4. 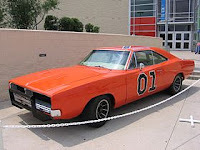 The Dukes of Hazzard (1979-86) - While Bo, Luke, and Daisy may have gotten more fan mail, the "General Lee"--the boys' 1969 Dodge Charger--was mighty popular. With a Confederate flag on its roof and a horn that played "Dixie," it sure had a Southern vibe. Over 200 General Lees were used during the filming of the series. The doors were welded shut for the stunts--though it looked cool, too, when Bo and Luke climbed in and out of the windows. 5. 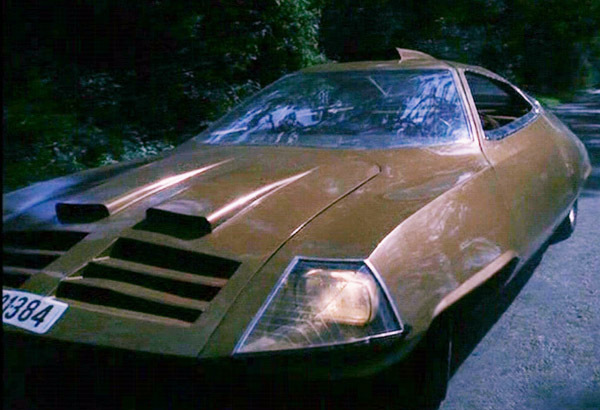 UFO (1970) - Most of the vehicles in Gerry Anderson's futuristic series were nifty miniatures, but the car driven by Commander Ed Straker was a modified Ford Zephyr Mark IV with doors that open upward. Although probably the least-known auto in our Top 5, it has a cult following among pop culture car enthusiasts and Dinky Toys even marketed a die-cast miniature called, appropriately, Ed Straker's Car. For a few years, it was owned by a BBC Radio 1 disc jockey. Honorable Mentions: 1975 Ford Gran Torino from Starsky & Hutch; 1978 Ferrari 308 GTS from Magnum, P.I. ; 1974 Pontiac Firebird Esprit from The Rockford Files; the "Black Beauty" from The Green Hornet; and Emma Peel's Lotus Elan from The Avengers. I do not know what it is about classic cars, but.. I just love them.. If I knew how to work on them I would be driving one. From your car lot, I want the(1960-64) the Corvette. Truth be told.. My dream car would be.. Janis Joplin's car.. or, maybe even.. John Lennon's.. I don't know much (anything, really) about cars, but I know what I like. I like Amos Burke's Rolls Royce on "Burke's Law" - probably because it comes with a chauffeur. CW, if I won the lottery, I would still live a quiet, unassuming life--but with a chauffeur. Rick, I must admit my knowledge of the early cars comes from watching the shows in repeat. I do, however, remember Jim Rockford's Firebird Esprit, isn't it funny how perfectly it suited the character: just cool enough to avoid being cliché. I think on principle I would choose Emma Peel's Lotus Elan, after all, she made classy autos cool for women. Although it only appears in the first episode, before he ends up on the island, I would choose Patrick McGoohan's Lotus Seven S II on "The Prisoner" as one of my top five coolest television cars (yes, I cheated and googled the make and model). Yes, I remember the Lotus at the start of THE PRISONER (one of my all-time favorite shows)! Didn't they crash a Lotus on MANNIX and then include the clip in the opening montage for years? Sorry Rick, But your #2 picture is not a Firebird, but a tricked out Shelby Cobra Mustang. The snake on the right side of the grill is a dead give away. Thanks, Paul. I mistakenly pasted in the pic of the second KITT! I think the General Lee gets shafted by an asinine name and a gaudy color, but the 1969 Dodge Charger is a fantastically beautiful car. If I was a boy car, I would totally hit on female Chargers. I like the Charger on BURN NOTICE, too. This is a fun post, Rick! I tend to like the bigger cars rather than the small sporty ones. Another car I remember well is the one driven by the Beverly Hillbillies with its raised back seat that had no top. Not a vehicle I would want but certainly quite memorable. A very distinctive auto, Toto. But the thought of Jethro driving in Beverly Hills is kinda scary. Cool site, cool cars. But near the top of the list should be Norm Grabowski's Cad powered 27 "T" Bucket, "The Kookie Car" driver by Ed "Kookie" Burns in 77 Sunset Strip. It had a major impact on Norm's reputation, street rod design, music and hair styles. The location on Sunset Boulevard became a tourist must see. The car can still be seen today at car shows. Wow, I can't believe I forgot about Kookie's car. Thanks for the crucial addition. Missouri Car DealershipGreat You have a very nice webdesign here on your page i like it very much and have add your blog to my favoritesThis is a really excellent read personally, Must admit that you are one of the finest bloggers I ever saw. We truly stumbled about this on yahoo, and im happy Used to do. I’ll definitely be coming back again. Re: Pic 5 ("UFO" TV Series) It was not a Ford Zephyr Mk4 that was modified for the television series, rather it was either a 1966 or 1968 Ford GT40. Damon and Pythias: How Far will a Friend Go?